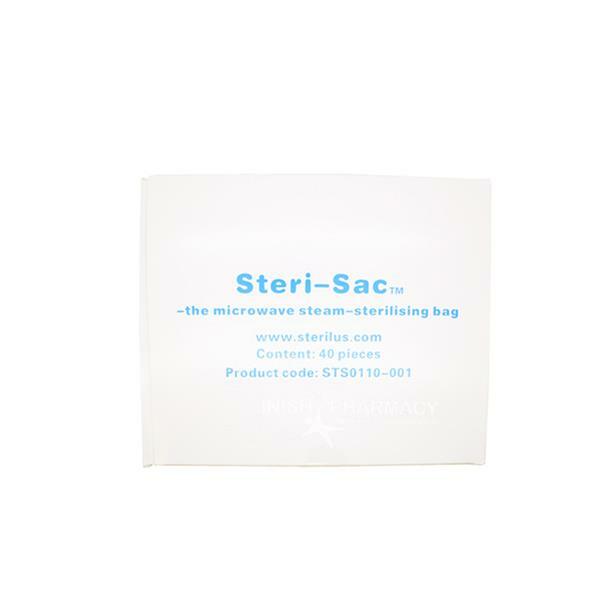 Steri-Sac Reusable Microwave Steam Steriliser Bags are perfect for home sterilisation or super handy to take on holidays or away from the home. The bag only need 60 ml of tap water and a microwave (700-1100 watts) and the steam will sterilise your items in approximately 3 minutes. Each bag can be used up to 20 times. 99.9% of bacteria are killed. Suitable for use with bottles, teats, breast shields, soothers etc.